If a rock band is still alive more than 50 years after its first show, it almost definitely has shown the ability to come back from the dead. Zombies — undead beings created through the reanimation of human corpses – obviously know how to come back from the dead. The Zombies, a legendary rock band from England, played their first show in 1962. Still alive as a band today, the Brit rockers definitely know how to come back from the dead. The Zombies released their latest album “Still Got That Hunger” in October 2015. The band then went on tour for two months performing its classic “Odessey and Oracle” album for the first time ever in the United States. 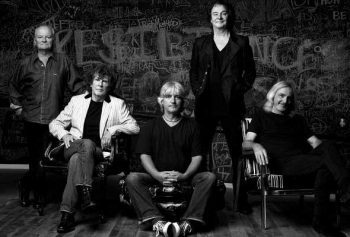 The Zombies came back in America for another stateside tour last spring and now they are back again for another tour — a tour that brings them to the area on March 17 for a show at the Keswick Theatre (291 N. Keswick Avenue, Glenside, 215-572-7650, www.keswicktheatre.com). This tour celebrates the 50th anniversary of “Odessey and Oracle,” and is accompanied by the release of a lavish coffee-table book and reissues on CD and Vinyl. The Spring 2017 trek across the U.S. and Canada, which will continue to England and Europe later next year, includes the final full-album performances of “Odessey and Oracle” reuniting all four surviving members of the group, with Colin Blunstone on lead vocals, Rod Argent on keyboards/vocals, Chris White on bass/vocals, and Hugh Grundy on drums. Along with founding members Blunstone and Argent, the current line-up of the Zombies, celebrating their current release “Still Got That Hunger” on The End Records includes bassist Jim Rodford, guitarist Tom Toomey and Steve Rodford (Jim’s son) on drums. The Zombies just received their second nomination for induction into the Rock & Roll Hall of Fame. “It’s the last time for ‘Odessey and Oracle’ – definitely,” said Argent, during a phone interview from New Jersey last week. “Back in 2008, Chris White and I got in touch. He hadn’t played with us in 40 years. He said – it’s 40 years since ‘Odessey and Oracle’ and asked how I felt about getting the original members together. “Chris and I thought about it for some time. We liked the idea – but only if we could reproduce every single note. We did that. We played a show in England and reproduced every single note. One show at Shepherd’s Bush turned into three. Lavishly illustrated with rarely seen photos from throughout the band’s career, the volume also includes original artwork. The book’s text will include anecdotes behind the songs and their recording, all from the original members, as well as reflections from Brian Wilson, Nate Ruess, Clive Davis, Carlos Santana, Susanna Hoffs, and many others. The Foreword was written by Tom Petty. “We’re very proud of the album,” said Argent. “It still sounds great. It fills us with joy that we can still do it. “On this tour, we’re playing two sets. The first set in a collection of Zombies songs performed by the current Zombies’ line-up – Jim and Steve Rodford, Tom Toomey, Colin Blunstone and me. “Still Got That Hunger” is still early in its history and many fans will be hearing the songs performed live for the first time. “We recorded the new album early in 2015,” said Blunstone. “We did it with producer Chris Potter. He has worked with the Stones, Verve and a lot of other big artists. Video link for the Zombies — https://youtu.be/jLlu9FVM1cE. 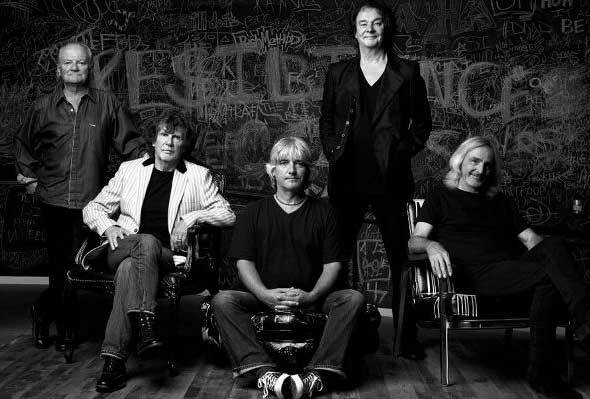 The Zombies will play the Keswick on March 17 at 8 p.m. Tickets range from $29.50-$69.50. Other upcoming shows at the Keswick Theatre are “Celtic Crossings: Phil Coulter & Andy Cooney” with special guests Geraldine Branagan & The Irish Pops Ensemble on March 16, and “An Evening with Southern Soul Assembly — Anders Osborne, Marc Broussard, JJ Grey, Luther Dickinson” on March 18. Southern Soul Assembly is unlike most other bands. It has been in existence since 2014, has toured a number of times and has never recorded any music. It exists strictly as a touring unit. The artist-in-the-round performance series features four diverse musicians with deep Southern roots — JJ Grey from Whitehouse, Florida; Marc Broussard from Lafayette Paris, Louisiana; Anders Osborne, from Bayou, St. John, Louisiana; and Luther Dickinson from Memphis, Tennessee and North Mississippi. “A few years ago, my manager came to me and said we should do a songwriters-in-the-round thing,” said Grey, during a phone interview Monday from his home in the Jacksonville area. The four talented musicians have bonded and found a great avenue to explore their musical heritage. Southern Soul Assembly draws from the rich legacy of American Southern culture of each of the players. Onstage, the rapport is strong and natural. “In terms of what we do onstage, we play three or four rounds each of playing songs and talking about the music,” said Grey. “It’s very loose. We don’t really rehearse any songs. Anders might say to Luther – let’s have some slide. “We never quite know what’s going to happen. For example, Luther took an empty strawberry box and got two maracas from Mexico and made a makeshift drum kit. He’d hit the box with the maracas. “We’re all just playing acoustic and electric guitar. Luther has his foot-stomp thing that makes a sound like a bass guitar. But, we’re not playing like a band. It’s more like sitting around on the front porch. The show at the Keswick will start at 8 p.m. Tickets range from $29.50-$49.50. 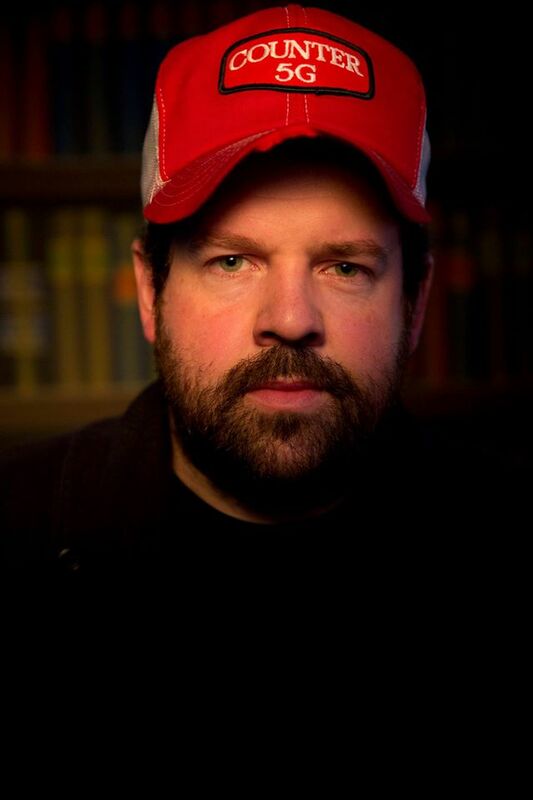 Canadian musician Donovan Woods plays music in a variety of styles but might want to focus more on the Celtic area when he performs in the area this weekend. Woods, a resident of Toronto, will play a show on March 1- — St. Patrick’s Day – at the Sellersville Theater (24 West Temple Avenue, Sellersville, 215-257-5808, www.st94.com). The JUNO Award-nominated singer/songwriter released the deluxe edition of his fourth album, “Hard Settle, Ain’t Troubled,” in the United States back in August. “I started recording the album in July 2015,” said Woods. “I made the album at a studio in Toronto called The Lincoln County Social Club. “I moved to Toronto after growing up in Sarnia, Ontario. Now, I’m living in both Toronto and Nashville. I had been going to Nashville every month for a few years so I decided to get a place of my own there — especially since I got a publishing deal with Warner Chappell Music. “We just released the EP in the states,” said Woods. “It came out in Canada in November. The songs were all newly-recorded. A couple came from the album sessions but they didn’t fit. “I recorded one in Nashville and three in Toronto. They all have more of a country flavor than a folky flavor. It’s hard to live in Nashville and not have country seep in. I’m at my home in Nashville about one week each month. Video link for Donovan Woods – https://youtu.be/atugaleiI-8. The show at Sellersville, which also features Alan Doyle & The Beautiful Gypsies, is part of Sellersville Theater’s “Season of Celtic Music.” It will start at 8 p.m. with tickets priced at $33 and $45. 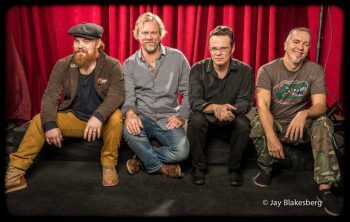 Other upcoming shows at Sellersville are RUNA on March 18, Candlebox Acoustic on March 19 and Hotel California on March 22. When RUNA play Sellersville, it will almost be a hometown gig – which might sound a little strange if you look at the band’s bio. But, Lambert-Ryan and de Barra, two of the three founding members, live in Lower Bucks County. “We formed as a band in 2008,” said Lambert-Ryan, during a phone interview Wednesday afternoon from her home in the Newtown area. “Fionán and Cheryl I met in 2006. Fionán and I met at the Philadelphia Folk Festival. “I was touring with Guy Mendilow and Fionán was playing with a group from Scotland’s Shetland Islands called Fiddler’s Bid. “Fionán and I became very good friends. We were in different music projects and decided to do a side project together. We started by going to his studio in Dublin to make an album. Now, we’ve been married for eight years. “When Fionán and I started playing together, Cheryl said that she’d love to play with us. We all did our first show together on August 5, 2008 at The Fire in Philadelphia. We’ve been going uphill ever since. “The new album was recorded at the BlackRock Center for the Arts in Germantown, Maryland on Thursday, March 17, 2016,” said Lambert-Ryan, who grew up in the Olney section of Philadelphia. “Now, we’re looking forward to our next project. The show, which is part of Sellersville Theater’s “Season of Celtic Music,” will start at 8 p.m. Tickets are $21.50 and $30. Stephan Crumb’s current project is a two-horn, bass and drums quartet that is celebrating the double-vinyl LP release of its first recording, “Rhombal” — a body of work written for Crump’s late brother. 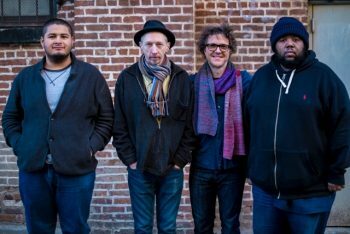 The group will perform on March 18 at the Philadelphia Art Alliance (251 South 18th Street, Philadelphia, 215-545-4302, http://www.philartalliance.org/). Rhombal is a quartet featuring Ellery Eskelin on tenor saxophone, Adam O’Farrill on trumpet, Tyshawn Sorey on drums and Crump on bass. All four musicians are leaders of their own ensembles as well as contributors to an array of other musicians’ projects. Crump first brought the group together in 2015 to work on a body of music that was inspired by and dedicated to his late brother, Patrick. That album was successfully funded through a PledgeMusic campaign and was initially released on September 13, 2016. The music is neither somber nor sad. Crump, a Memphis-bred, Grammy-nominated bassist/composer, has lived in Brooklyn since 1994. As a composer, he is emerging as a singular voice. His music can be heard in numerous films and on his 10 critically-acclaimed albums as leader. As a longtime collaborator with adventurous jazz composers (since 1999 with Vijay Iyer) as well as guitar visionary Mary Halvorson and singer-songwriter Jen Chapin, he has become known for the elegance and purposeful groove of his acoustic and electric bass playing. For Crump, making the “Rhombal” album was a fairly quick process. “We recorded it at The Bunker in Brooklyn,” said Crump. “It took two days in the studio. The functioning of the ensemble was about the ensemble. It’s about capturing us in the studio. We did a bunch of gigs to get ready. Hull is a world-renowned mastering engineer and owner of Masterdisk, the country’s number one mastering facility. His mastering expertise runs the gamut of modern recorded music and he is one of the most sought-after mastering engineers in the industry. Hull is also an expert on mastering for vinyl. Recent Masterdisk Vinyl clients include Donald Fagen, Glen Frey, Taylor Swift, Celine Dion, Rush, Beastie Boys and Rage Against The Machine. The songs developed for a while until it was time to record them. “Some of the compositions changed after we performed them for a while,” said Crump. “It varied from tune to tune. I guess it was about a year that we worked on the tunes before recording them. Video link for Stephan Crump’s Rhombal — https://youtu.be/nBAK29DzlLM. The show will start at 8 p.m. with tickets priced at $20. 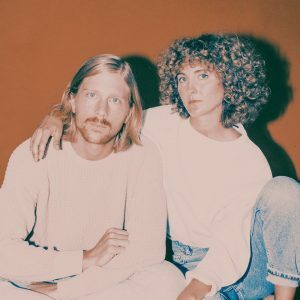 Tennis, which is performing on March 18 at Underground Arts (1200 Callowhill Street, Philadelphia, http://undergroundarts.org), is a husband-and-wife, indie-pop band from Denver, Colorado featuring Alaina Moore and Patrick Riley. Their story is a bit different than most. They have a love for each other. They have a love for their music. And, they have a love for sailing. Fortunately for them, they have been able to make all three work simultaneously. “We met in college, in an analytic philosophy class,” said Moore, in an interview this week. “Patrick recognized me from the nearby restaurant I worked at. I had waited on him once. Neither of us knew anyone in the class so he sat right next to me and introduced himself. Our friendship was instantaneous. “The music came much later in our relationship. We had other shared interests and goals that took precedence at the time — philosophy, graduation, sailing and adventuring together. Sailing is not a usual hobby for kids from Colorado. “Our mutual love of sailing came from sailing itself,” said Moore. “We had no idea what we were getting into when we moved onto our boat. Prior to that Patrick had gone on a day sail with his parents when he was maybe 11 or 12. “He decided that that was how he wanted to live. I think he equated sailing with freedom. We know better than that now, Sailing is difficult and the ocean reminds me more of my limitations than my freedoms, but the sentiment is there all the same. “We’ve made two six-month-long trips. The first was seven years ago now along the northeastern seaboard. The second was last year, from San Diego down the coast of Baja and into the Sea of Cortez. “We’ve done little week-long trips here and there in between, mostly to continue to learn how to captain our boat. But, we’re more interested in long-term exploration than little day sails. We treat sailing a lot like touring. We go out infrequently but for extended periods of time. Not coincidentally, the title of their first album is “Cape Dory,” which was released in 2011 on Fat Possum Records – the same label that issued their sophomore album “Young & Old” in 2012. They followed with “Ritual in Repeat” on Communion Records in 2014 and “Yours Conditionally,” which was released this month by Mutually Detrimental. “Yours Conditionally” began taking shape during the duo’s most recent sailing expedition around the Sea of Cortez. “We chose the Sea of Cortez because of its proximity to southern California, natural beauty, the challenge of it,” said Moore. “We sailed from January to May. “The Sea of Cortez is breathtaking, full of wild life, and difficult to explore due to unpredictable weather patterns and extremely outdated charts. It was the hardest, most rewarding thing we’ve ever done. “We had already written several songs for the new album before we left. The rest we wrote later into the voyage, after we made our way into the Sea of Cortez. The Pacific Ocean side was much too violent for songwriting. Moore and Riley have a variety of ways to compose their music. “It depends on the song,” said Moore. “Patrick and I write differently. Lyric, melody, chord progression — all are entry points to a song, like doors I can open. Sometimes I see the song on the other side and sometimes I don’t. “We recorded in June in a little A-frame cabin we rented in the Rocky Mountains. It wasn’t until we mixed the record and worked on track listing that the album’s vibe started to emerge. We had to cut some songs we really liked because they didn’t fit with the overall aesthetic of the record. The show at Underground Arts, which also features Rolling Blackouts and Coastal Fever, will start at 9 p.m. Tickets are $16. As a musician, Delbert McClinton has been around the block a few times. Actually, the veteran singer-songwriter-guitarist-harmonica player-pianist has been around the block way more than just a few times. McClinton, who will be playing the Colonial Theatre (Bridge Street, Phoenixville, 610- 917-1228, www.thecolonialtheatre.com) on March 18, first started playing professionally in the early 1960s. Link for “Hey! Baby” — https://youtu.be/srNqe243y74. McClinton, who will be playing with his band Self-Made Men in Phoenixville, is touring in support of “Prick Of The Litter” (Hot Shot Records/Thirty Tigers), a new album that was just released on January 27. “I’ve been out on the road a bunch,” said McClinton, during the interview from his home in Nashville, Tennessee. “I leave again tomorrow night. I got a new record and I’m gonna stick it in people’s faces. “I pretty much just work on weekends – just enough to satisfy a jones. I still feel young – especially since I had my successful heart surgery a few years ago. “I had a ‘heart event,’ which meant I was about to have a heart attack. I had 95 per cent blockage in my aorta. The next day, they took my heart out, fixed it and put it back in. I had the easiest recovery. “I feel 50 years old again. It’s funny. Up until my late 50s, I thought I was so cool with women. I don’t even feel that way anymore. But, I’m enjoying making music. “These days, my interest is who, what, why, where, when and how – things that I learned in school. I’m staying busy. It’s the passion. I think passion is the whole thing because that’s what I’ve survived on all my life. “When I was a pre-teen, I was singing every song on the radio. I put my first band together when I was 16. I was doing it because I had to. I was there when ‘Rock Around the Clock’ broke open. McClinton was born in Buddy Holly’s hometown of Lubbock, Texas – just a few year after the rock-and-roll legend was born. Since then, McClinton has been writing and playing his own songs – in his own unique style. “I love this band I have now,” said McClinton, who spends a lot of his free time at his other house, which is located in San Miguel de Allende near Mexico City. “These guys know all the chords I don’t know how to play. “I write mostly out of rhythm. I came from the Johnny Mercer, Nat King Cole, Ella Fitzgerald era of singers. I love all that 40s music. Only knowing three chords to play for blues or country songs – I’ve done that all my life. 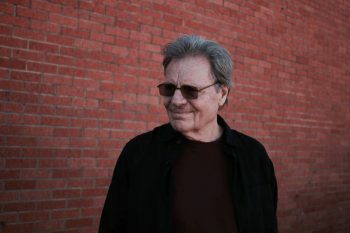 Video link for Delbert McClinton — https://youtu.be/EVtKU4nmgNc. The Point Entertainment show at the Colonial Theatre, which has Brian Dunne as the opener, will start at 8 p.m. Ticket prices are: Gold Circle: $49.50; Orchestra: $42.50; Front Balcony: $39.50; and Rear Balcony: $29.50. Point Entertainment will also present comedian Rob Schneider at the Colonial on March 17 at 8 p.m.
Kennett Flash (102 Sycamore Alley, Kennett Square, 484-732-8295, http://www.kennettflash.org) will host “St. 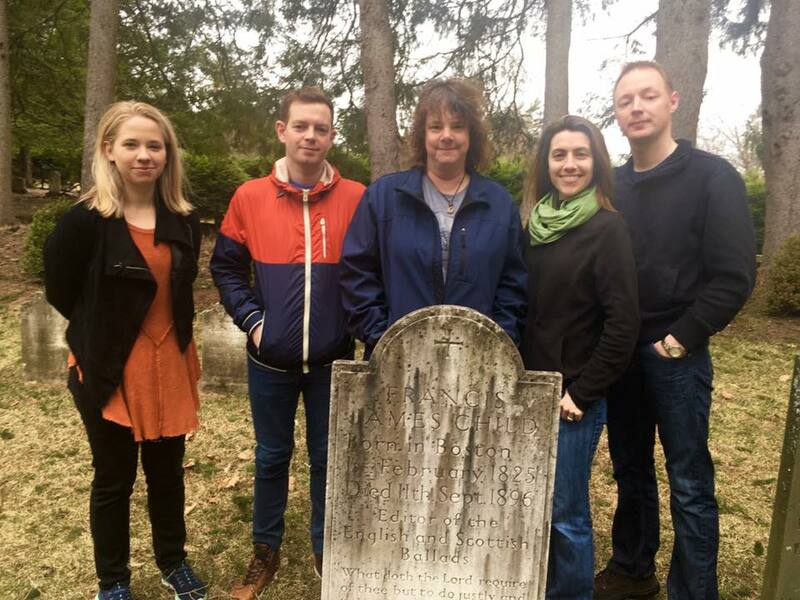 Patrick’s Day with Beyond The Pale” featuring traditional Irish Step Dancing on March 17, Trespass – The Music of Genesis on March 18, and Open Mic with guest host Marc Staudenmaier on March 19. 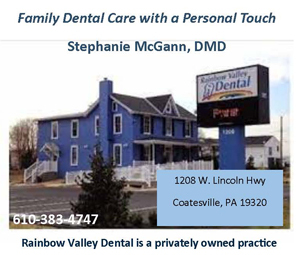 The Steel City Coffee House (203 Bridge Street, Phoenixville, 610-933-4043, www.steelcitycoffeehouse.com) will host Professor Louie & the Crowmatix on March 18. The Ardmore Music Hall (23 East Lancaster Avenue, Ardmore, 610-649-8389, www.ardmoremusic.com) will present Kung Fu: The Fez Tour (1 set Original Kung Fu, 1 set Steely Dan) and The Royal Noise on March 16, St. Paddy’s Day Party with Jellyroll, Philly’s Original Horn Party Band on March 17, McLovins + Tweed and Pet Cheetah on March 18, and Urban Guerrilla Orchestra and Mixed People on March 19. Burlap & Bean Coffeehouse (204 South Newtown Street Road, Newtown Square, 484-427-4547, www.burlapandbean.com) will present Tony Furtado on March 16, Matt Duke with Cariad Harmon on March 17, and Found Wandering with Matthew Rineer on March 18.